Both Sides Have The Wrong Starting Point! I don’t ever remember when American culture was more divided. 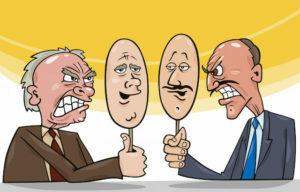 It seems that when topics such as government, public spending, regulations, social welfare, individual rights, and race or gender are discussed, there are two polarizing sides each claiming to be right. Even more disconcerting is the fact that each side claims that the other side is endangering our freedom and liberty. The two sides even claim that they are trying their best to “defend the US Constitution”. There are the “conservatives” who argue that the Constitution doesn’t change and must be interpreted by the original meaning of the writers of the document. Then, there are the “progressives” who contend that the Constitution is a “living document” that must be interpreted in light of modern day circumstances and a more knowledgeable populace. So the two sides face off. One opposes all gun control efforts as threatening the 2nd Amendment that they say is foundational to our freedom and liberty. The other side is marching in the streets demanding “reasonable” gun control laws so that our freedom and liberty can be protected. How can one document be used to support two opposing arguments related to not only this debate but every other issue in life? The reality is both sides are making their arguments from the wrong starting point. They are starting with the Constitution being the foundation stone for freedom and liberty. 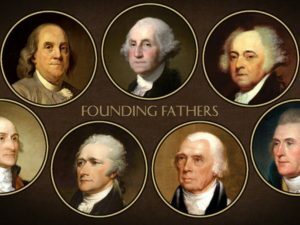 The reality is that the US Constitution is only the product that was drafted and ratified because of the Founders’ belief in two major foundation stones that guarantee individual and corporate liberty. Just going back to the Constitution does not allow us to know what is right when it comes to the protection of one’s liberty. 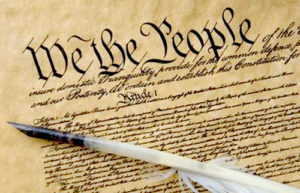 If we are ever going to understand the truth that should guide us in all areas of our life, we must go back to the very foundation of the country and the Constitution. Without doing that, the battle will simply increase and society will be completely polarized. It is then when the winner will simply be the most powerful and true liberty will disappear. What was at the foundation of the country and resulted in the ratification of the US Constitution? To find this out we need to look at some of the writings of the very people who came to the New World. Some of the very first settlers in the New World were driven by a desire to glorify God and advance the Christian faith. If we proceed to when the country’s leaders were formulating the Declaration of Independence and the Constitution, we would find the foundation stones necessary for true liberty and freedom. …the moral principles and precepts contained in the Scriptures ought to form the basis of all our civil constitutions and laws…All the mysteries and evils which men suffer from vice, crime, ambition, injustice, oppression,salvery, and war, proceed from the despising or neglecting the precepts contained in the Bible. Noah Webster. The reality is that there must be morality in order to have liberty. However, morality must be based on a standard. 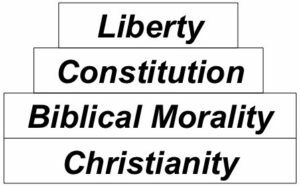 The only right standard for morality that will guarantee liberty is religion. It cannot be any religion because we have clearly seen that there is no liberty in many countries who were or are run on the teachings of false religions. The only “religion” that sets an absolute standard for morality is Christianity. The standard for morality found in Christianity is given to man in God’s Word — the Bible. Here is what this would look like in a model. Unfortunately, these two cornerstones of liberty have been purged from our educational institutions today, from preschool through graduate school. Of course, this had to happen when Americans said that education must be secular and there had to be separation of church and state at all levels of public life, especially schooling. In last week’s blog, I showed how secular education may not directly attack God and/or the Bible. Instead, secular education simply says it is removing any “religious” bias or reasoning from learning. That is because secularists believe that religious/spiritual things are personal and subjective. There is no place for them in the public arena that is concerned only with “neutral” facts and knowledge. So, we are left with fighting for what each side believes to be key to us sustaining our liberty by trying to justify their position on their interpretation of the Constitution. Neither side can win the debate because the only true interpretation of this magnificent document can be found when looking at it through the lens of a biblical worldview. We must give our children and youth a biblical worldview education — our liberty is hanging in the balance! What are your thoughts? Excellent! Well said! This is why picking judges is so important. 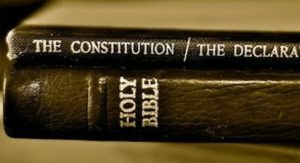 They need to understand the constitution in light of it’s Judeo-Christian foundations, and that God that makes the use of their word religion make sense. The most chilling scripture for nations like ours, “A house divided cannot stand”. Thank you for the History Class! As brazilian, it is very profitable to me. God bless you! In fact, we see this kind of information being withdrawn from the public sphere. May God bring it up again in your country ! Here we are feel a late effect repercussioning in our contry.